Photographer Jeanne Moutoussamy-Ashe remembers her husband, Arthur, on the 20th anniversary of his passing. The late Arthur Ashe continues to influence generations through his life's work. 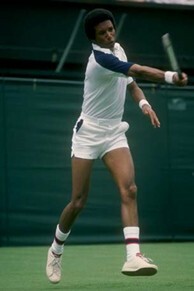 Twenty years ago, on February 6, 1993, Arthur Ashe died of complications from AIDS-related pneumonia. The 1968 US Open champion is survived by his wife of 16 years, photographer Jeanne Moutoussamy-Ashe, and their daughter, Camera. A champion on the court and a champion of myriad important causes, Ashe also was a dedicated family man. He and Jeanne Moutoussamy were married in February 1977, just two years before Arthur ended his professional playing career, and the two encouraged each other to reach greater heights. 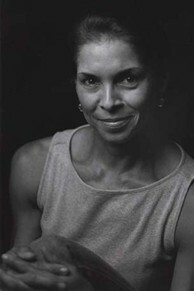 Jeanne pursued artistic endeavors, publishing two photographic collections, while Arthur found a new voice in crafting impassioned writings about African-Americans in sport and in developing books of his own. The couple welcomed a daughter, Camera, in early 1987. Just 19 months later, Ashe learned that he was HIV positive, having contracted the virus from a blood transfusion during a heart procedure. Moutoussamy-Ashe kept her lens on her husband and daughter during their remaining time together, documenting their final months with photos that would eventually become her third major published work, "Daddy and Me," in 1993. The focus of that book was to debunk the social stigma surrounding AIDS and develop a discourse between parents and children about what happens when serious illness becomes part of their lives. USTA.com: It has been 20 years since Arthur’s passing. Around that time, you said in an interview: "The fact that Arthur is not here physically has not stopped my communication with him or my relationship with him." How has that relationship lived on? Jeanne Moutoussamy-Ashe: Well, for one thing, [you and I are] speaking to each other right now about Arthur. In the past 20 years, there’s been a consistent relationship with his legacy – and if nothing else, I’ve become more deeply involved. His legacy has become more organized when considering its place in history and my life over 20 years. Life becomes more meaningful in terms of understanding the amount of work that Arthur was able to achieve while he was on Earth and the significance of the impact of what he achieved while he was alive. His legacy is worth continuing, if for no other reason than to inspire other young people who aspire to take on meaningful work in their lives. Whether that means using athletics as a platform for moving their education forward by achieving college scholarships—or whatever means they decide to make a difference in the world—I think Arthur’s example is stellar. It continues to inspire me on a daily basis. USTA.com: Your work, "Daddy and Me" was hailed as a very poignant and powerful work of art. If you were to review it now, are the thoughts and feelings the same as they were at the time of his passing? JMA: It’s a really good question because we do see the world differently with a span of five or 10 years, and certainly with 20 years. That’s very significant in terms of an artist’s work. I think what’s important about "Daddy and Me" is that it’s timeless – it’s kind of a classic story between a child and a parent that shows that love is really the best medicine that you could possibly give. That was true in our case as a family. Our family story, as universal as it was, we were put on a platform to tell it. It’s a difficult story, but you try to thrive throughout difficulty, and that’s all we were doing. I had absolutely no plans when those photographs were taken to ever do them as a book. It was really a document for our daughter, because Arthur lost his mother when he was 6 years old – he understood the ramifications of loss and grief. It turned out that it had a greater cause because we were able to capture that. Camera was delighted to have this book done in honor of their relationship. USTA.com: February is Black History Month. If Arthur were here today, what do you think he would have thought of the last 20 years from a societal standpoint for African-Americans? JMA: You know, on January 20th, I thought about that with a full heart. Not only was it the 150th anniversary of the Emancipation Proclamation, but this year is the 50th anniversary of Dr. Martin Luther King Jr.’s march on Washington and his "I Have a Dream" speech. To have our President inaugurated on that day, which was Dr. King’s birthday, for a second term … believe me, my heart was full. And I thought: "What would Arthur think?" Arthur would have been – and I hesitate to use this word, but I think many people felt this way that fought through the Civil Rights movement – I think he would have felt vindicated for all of the hardships, for the blood and sweat that was given for so many years. Surely he’d still be fighting and saying that we have a long way to go. Yet to have the privilege of seeing the progress made is just indescribable. We’re living in a very momentous time in history and I think we should take note of where we are, where we’ve been and where we’re going. USTA.com: What are some of the challenges that Arthur himself championed in life that still need to be met? JMA: We continue to fight AIDS with the Arthur Ashe Endowment for the defeat of AIDS. I’ve traveled in the last few years to see the results of that program in places like Nepal and India. Arthur would be so pleased at the work the endowment has been doing by training health-care workers across the globe, it’s just fantastic. Arthur cared a great deal, being the bibliophile that he was, about history, and I know that the first time President Obama was inaugurated, that was when I heard very interesting comparisons about black athletes paving the way for the country to really be able to accept an African-American president. I think all athletes should take note of the responsibility that they have in how we perceive people in our culture. When Arthur won the US Open [in 1968], he was an amateur. He couldn’t make any money then. The prize money was $14,000 which [his opponent] Tom Okker, received, and then Arthur went back to being a lieutenant in the Army! Today, the athletes are rock stars. With great power and platform, there’s a definite responsibility there. USTA.com: Do you think he’d be proud of where the sport of tennis is today? USTA.com: Your husband’s memory lives on through programs like National Junior Tennis & Learning (NJTL) and the Arthur Ashe Learning Center (AALC), as well as events like Arthur Ashe Kids’ Day at the US Open. What do these institutions mean to you? JMA: Obviously, they all represent something very different than a statue of bricks and mortar – they represent real blood and bones in a human being that we’re raising up by honoring Arthur in the work that’s being continued in his memory. The only way we can do that is to be proactive. Arthur was very proactive. The fact that we’re still moving his work forward – and this is very high on my list with the AALC – is letting people know that if you can be proactive about the things that you truly believe in, then you can truly make a difference in this world. Your impact will be felt for generation after generation after generation. We will make it better for our kids, and even better for our grandchildren. In that sense, Arthur was exemplary. If you would like to know more about Arthur Ashe, head to ArthurAshe.org, the official website of the Arthur Ashe Learning Center promoting Ashe’s legacy and good works.